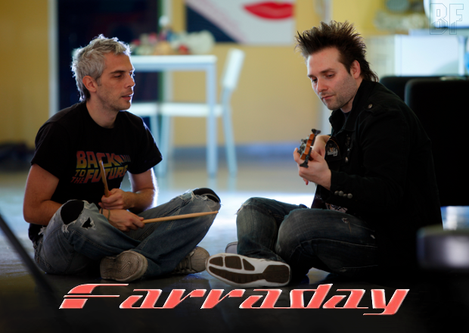 Another new project with the 80's melodic rock sound FARRADAY came out from Greece. 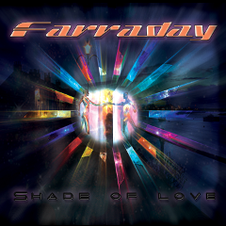 FARRADAY will release their debut album "Shade Of Love" through AOR Heaven on July 19th. The project was born in Athens in January 2012. The masterminds behind FARRADAY are Roy Da Vis who is the composer, singer, guitarist and keyboard player and Stathis Spiliotopoulos who is the producer of the project, also plays drums, bass and supports with backing vocals. Roy Da Vis started playing at the age of 16 and performed with local bands like Mirror Lies, Heaven’ Spirits and with a Hard Rock/AOR band called Bad Medicine, where Stathis Spiliotopoulos also was the man behind the desk of their sound. Bad Medicine self released an EP called "Breakin' Down" including the two songs "Breakin' Down" and "Shade Of Love" but it never came out as an official release. After many years of music collaborations with bands, projects and live performances, Roy and Stathis are trying to deliver their passion for Melodic Rock music and now are making their dreams come true. "Shade Of Love" is the first album with which they try to express their feelings and give to the people who share the same music tastes. It features Ada Livitsanou, Jimmy Serra, John Tabakakis, Chris Crystal and Mike Vlatakis on the following tracks as a guest musician.